Patricia Herlevi reflects on her music background as she discusses her book, Agnes et Yves: Ma Vie en Bleu. Learn how she makes marketing work without having to break the bank. “French Kiss” meets arts journalism meets Parisian artists meets Katherine Hepburn. In hot pursuit of an affair with a Spanish Don Juan, Francophobe Agnes’ plans are derailed by a French painter and transportation strike. Bonjour Paris! I wrote this novel as an old fashion style comedy with some mistaken identity, especially around “Pablo”, plots twists, and a surprise ending. I adapted the novel from a screenplay of the same title, but for the novel I brought back the mother character, and brought in more psychological baggage which I dealt with through comedy of errors. Thinking back to my music career which spanned from 1986 to 1996, I have a knack for do-it-yourself projects. I also think that it is a real confidence builder to take on a project yourself and see how far you can take it. My motivation for going it independent with music came from a music industry with a closed door policy. I sent out over 50 demo tapes over the years, and received a large pile of rejection letters. I still wanted to record and perform music so I found a way to do that without a recording contract. Now that I am authoring books, I thought I would see how far I could go on my own in building a target audience, and cooperating with other independent authors. The learning curve is steep, especially at my age, but I have to admit, I enjoy the challenges. Those challenges spark creative solutions. No, I have not traditionally published any books yet. I am not averse to publishing books traditionally. I contacted agents and went the normal route, receiving a fair share of rejection letters and some encouragement. Then a friend suggested I try Lulu. At first this felt daunting so then I went with CreateSpace instead. Since my novel has commercial appeal, especially for the Francophile markets, I don’t know the reasons why it has not been picked up by a commercial publisher or agent. I like some aspects of self-publishing such as a higher cut in royalties and that the author controls the pace of getting their books out in the world. The marketing and e-book publishing aspects, however, feel frustrating to me. And I have a marketing background. I don’t have money for marketing my novel so I have sent out press releases to local press, joined writing groups online, and social network like crazy on LinkedIn and Twitter, not to mention Writer’s Digest Community and Writers, Editors and Agents Network. I also posted chapters from three of my novels on Authonomy for over 2 years. My next big venture is to give a reading that coincides with a high school class reunion. The target market is mainly women over 35 so this is a good fit. I’m also starting to get mention in local press. I would find an investor to work with so I could purchase ads and buy bulk copies of my novel to send out to book bloggers, newspapers, and magazines. I would work the heck out of my LinkedIn contacts. Look for unusual opportunities. Contact librarians and befriend them. Befriend book sellers too who are also independent and make friends with like-minded authors. Build a support team for you and your books. I am researching the healing power of music for a non-fiction book on healing with traditional, sacred, and other types of music. At the moment I am in communication with a small cooperative publisher. I market my fiction as “green fiction” and “metaphysical romances” but I also write for the Latino market. With non-fiction, I write healing and metaphysical books. Since I write diverse material, I don’t know what brand all this could fall under. This is a tough question and one that I have grappled with since self-publishing my first novel. I don’t wish to pigeon hole myself. 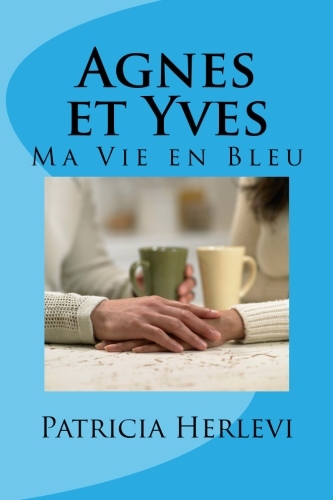 Agnes et Yves is on CreateSpace, Amazon and the usual outlets. This is a print-on-demand version. At some point in 2012, I hope to publish an e-version of the novel, but I am seeking an independent publisher for that version.